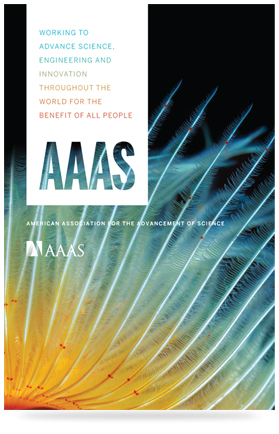 The world's largest multidisciplinary scientific society and a leading publisher of cutting-edge research through its Science family of journals, AAAS has individual members in more than 91 countries around the globe. Membership is open to anyone who shares our goals and belief that science, technology, engineering, and mathematics can help solve many of the challenges the world faces today. You can lend your support to our efforts on behalf of scientists, engineers, educators, and students everywhere by becoming a member. Together we can make a difference: Join Us. To learn more about our community and the many benefits of membership, visit the Membership section of the website. The formation of AAAS in 1848 marked the emergence of a national scientific community in the United States. While science was part of the American scene from the nation's early days, its practitioners remained few in number and scattered geographically and among disciplines. AAAS was the first permanent organization formed to promote the development of science and engineering at the national level and to represent the interests of all its disciplines. Participants in AAAS meetings, held in cities across the country, represented a who's who of science. The meetings were covered widely by newspapers, which sometimes reprinted their proceedings verbatim. However, AAAS's permanence was not preordained and, despite the many contributions it made during its first 50 years, the Association came close to extinction more than once. Ultimately, an alliance with Science magazine, which had failed as a private venture, rejuvenated both the magazine and AAAS. The life of AAAS has been interwoven with the growth of American science. In celebration of its sesquicentennial in 1998, AAAS created an exhibit of artifacts, providing a glimpse at some of the people and events that have left an impression upon the association's history. Learn more about the history of AAAS. The AAAS archives are open to researchers interested in the history of the association and its role in the development of science. The archives hold administrative and program records, as well as records for the journal Science. Browse the AAAS digital archives.